ECG trace and brain. 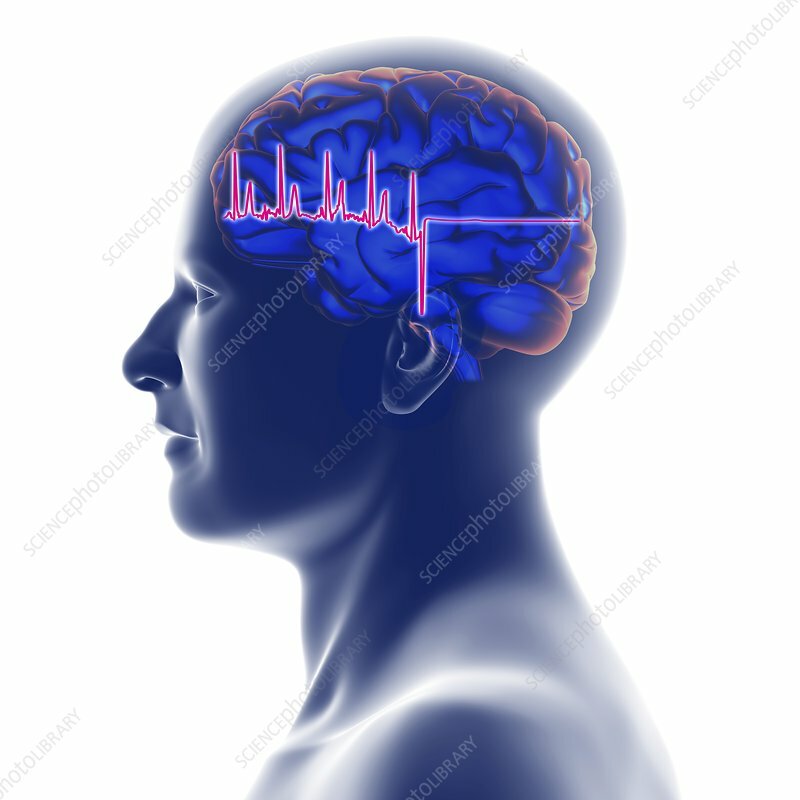 Computer artwork of an ECG (electrocardiogram) trace in front of a head and a human brain. An ECG uses electrodes to measure the electrical activity of the heart during the pumping of its chambers, and records it as an electrical wave (green). The waves are irregular and then stop (flatline). This indicates that the heart has stopped beating and the patient is in cardiac arrest. If the heart does not restart, then the brain and other organs will fail to receive oxygenated blood and die. Electrocardiography is a useful tool for the diagnosis of heart disease. The waves of an ECG trace can reveal the nature and location of many cardiac disorders.